It is with pleasure that I inform you that the Executive Committee is in the final stages of negotiating a management agreement where Lyn and Chris Kimberly will mange Camp Berger for the 2014 camping season. The Kimberly’s will be responsible for all aspects of managing Camp Berger during the camping season. I admire everyone’s passion and desire to make sure Camp Berger remains a summer camp for children. Now that we have done that it is necessary for all Granges to support Camp Berger. I challenge every Grange to offer a campership if you do not have a recipient, I encourage you to donate the $350 for the campership to be used at the discretion of the camp’s management. Brothers and Sisters, we have heard you loud and clear we now need you to support the Camp with that passion that have used to save the Camp. 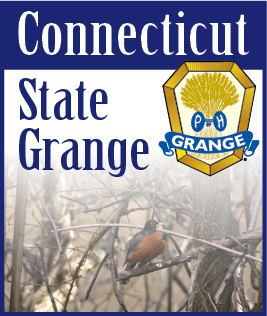 I would like to remind everyone that even though the camp is owned by the Connecticut State Grange, no members should visit the Camp without contacting the Kimberly’s or Ruel Miller directly. During the Camping seasion, the safety of the children is our first and foremost concern and responsibility. Please join me in welcoming the Kimberly’s as the managers of Camp berger. Camp Clean-Up Days are scheduled for Friday, May 16 through Sunday, May 18. Please contact Lyn or Chris if you have any questions. They may be reached via email at director@campberger.org or by calling (203) 557-3339. Please show your support of Camp Berger and help the Kimberly’s first season get off to a great start! Offer your support and let’s see that Camp Berger is successful.